Vote For The Winning Soup! Cooking Healthy Can Be Fun! Nothing’s more important than good health. So why aren’t you cooking healthy ? Probably because you’re just now checking us out. We’re a one-stop culinary tip emporium. Take advantage of us, and pretty soon everyone will be checking you out in the kitchen. Don’t Wait One Minute More! Those calories aren’t burning themselves. Make the commitment to be healthy. We’ll be your Healthy cooking partner every step Culinary step of the way . 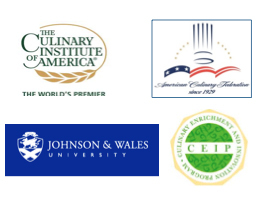 Join our Culinary membership for only $1.00 a month for free Culinary Tips & Techiniques and Advice. 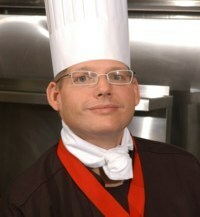 Chef Todd H. Daigneault, ASCS, CEC, is devoted to helping people incorporate healthy eating into their daily lifestyle. Todd held various management level positions within the food industry and he has worked for prominent restaurants and resorts across the country. He ventured into health care after experiencing a life threatening surgery, which forced him to modify his eating and cooking style. Todd was the executive sous chef at Hackensack University Medical Center in Hackensack, NJ, and is currently the executive chef for Atlantic Health Care Systems of New Jersey. Todd has won numerous chef challenges, and competed on a national stage of chef challenges, including Tyson National Chef Challenge featured on Fox Television. Most recently, Todd has accepted a chef position with the Culinary Enrichment Innovative program sponsored by Hormel Foods and The Culinary Institute of America – Todd is one of 16 honored applicants chosen out of 3,000 candidates. Todd has appeared on television and currently has a cooking show in development.